Free PST Merger - merge multiple PST files into a single file. Merge pst files with free software that combines PST files into a single PST file. Merge Outlook personal folders data, copy or move the content from multiple* Microsoft Outlook archive files into a selected Outlook file or create a new PST file. Merge Outlook PST files with Free PST Merger. If you have numerous PST (Outlook Personal Folders) files on your computer, it gets difficult to manage all of them. By using PST Merger, you can merge all PST files into a single file just in a few clicks. Free PST merger is useful when you have to combine two PST files. Free PST Merger allows you to merge Outlook PST files into a new PST file. It is a simple PST merge tool that does not require special IT knowledge. Use PST Merger Pro for merging more than two files or when you need advanced PST merging management features like filters or folders selection. By using this tool, you can copy or combine the content from several Microsoft Outlook files to a specified file. You can also transfer the specified Microsoft Outlook data from several files to a new Outlook file. This allows you to transfer only important Outlook folders to your new PST file. Merge any items from PST files, such as, Inboxes, Calendars, Contacts, Journals, Tasks etc. to another PST file. One more advantage is that you can store your new PST file in any convenient location. You can easily open PST files with OST PST Viewer. If you have to merge PST files frequently, PST Merger will save your valuable time by merging Outlook PST files in just a couple of clicks. In case your PST files contain a lot of data, to merge such files manually may not be possible. Using PST Merger can combine PST files of Microsoft Outlook with ease. A free timesaving tool to merge Outlook PST files. This PST merging software safely merges two Microsoft Outlook PST files into a new file. All your data stored in both files will be preserved and transferred into one file and easily accessible from the location of your choice. Merged PST files are stored in a new PST file. The source files data is preserved. When two Outlook files are merged into one PST file, PST Merger creates a new PST file. Data from the original PST files is copied to the new file and merged without making any changes to the original files. All data in source and merged PST files is preserved. PST Merger will not modify any data from the original PST file or damage any of your email account data when merging two files. The original PST files will remain intact while PST files are merged into a new file. Merge archive files to a single file. Using Microsoft Outlook for many years might lead to numerous PST archive files. It can be frustrating in case you need to find an old Outlook email that was archived many years ago. The easiest way to find the right data is to combine Outlook archive files into a single Outlook file using PST Merger. PST Merger option “Move content from several files to selected file“ allows you to transfer the content from selected folders to a specified PST file and remove the transferred folders from the old source PST. In case you want to keep data unchanged in the previous PST files, choose the option to copy content from several files to the specified PST file. Merge only selected folders, such as inbox, contacts, calendar or any other Microsoft Outlook folders from the specified PST files. In this case only specific Outlook data can be transferred and merged without the need to merge all content from both PST files. The structure of merged PST files is maintained. PST Merger merges the specified PST files and maintains the internal structure and titles of Outlook folders. These files can be joined, creating multiple folder hierarchies within one PST file. With Pro Edition you can merge multiple PST files at once into one single file. Click here to learn more about PST Merger Pro Edition. The Tool for transferring Outlook emails to a new computer. In case you have more than one PST file from the old computer, it can get difficult to transfer separate PST files to a new computer. By merging multiple PST files on old computer, you will ensure that all important data is easily transferred to your new PC. Organize your Microsoft Outlook data by merging different Outlook profiles data into one file. Microsoft Outlook users wish to prevent data file size errors by splitting PST files into smaller files. In case a user runs more than one profile over different Outlook PST files for the single email account, it can cause an unmanageable situation. Split PST files will be stored at various system locations and even on different computers. In this case PST Merger is the efficient tool that will merge Outlook data files into one. If you have several email accounts in one Outlook, each account has separate folders to store emails, Contacts, Calendars. This makes your daily work more difficult when you have to search for information through all the accounts. 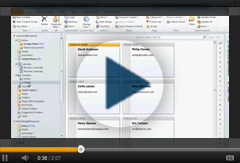 Combining the email accounts into a single file allows you to manage your emails easier. Contacts from all accounts will be accessible from one file, all inbox emails will be stored in one Inbox file and so on. All versions of Microsoft Outlook are supported. It does not matter which version of Microsoft Outlook you are using. PST Merger combines the data file of earlier Outlook editions (since 2002) with the data file of recent Outlook versions. Compatible with the latest Microsoft Outlook 2013. Open and view multiple PST files of any size created by Microsoft Outlook. Search, print out, extract or export information from orphaned PST data files. View PST file content such as messages, contacts, calendars and notes in any folder without Outlook. Free OST file Viewer helps you to open, view OST files without Microsoft Outlook. View content of multiple healthy, damaged or corrupted OST files. Search and copy ir export any data from OSt files. PST Splitter Archive Outlook and split PST files automatically. Safe PST Backup Personal Backup Outlook software. Backup Exchange folders and PST files using Safe PST Backup. Back up Email, Contacts, Calendars or other folders. Create Microsoft Outlook PST backup email archive automatically.